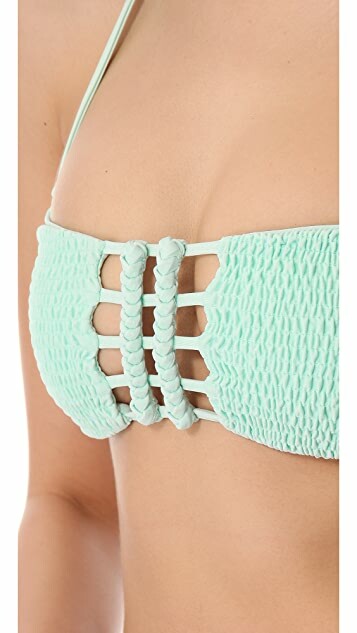 Braids structure square cutouts on a solid bandeau bikini top, and smocked elastic adds a touch of texture. Detachable halter strap. Lined.